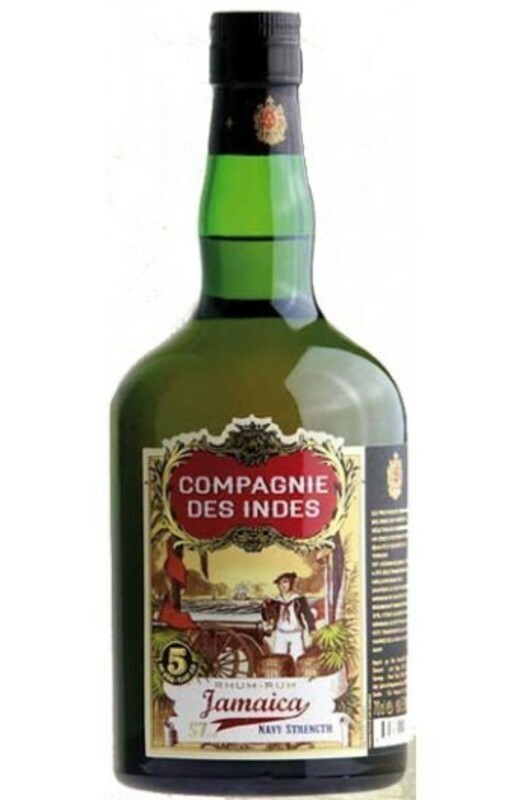 Have you found an online vendor selling Compagnie des Indes Jamaica Navy Strength 5-Year? third. very well with a lot of complexity flavors..
Im der Nase wunderbar vielschichtig und elegant, bei einer Blindverkostung hätte ich auf einen Guyana Rum getippt. Frische Brötchen mit Fruchtsalat die auf einem mit Karamell bestrichenem, getoastetem Holzteller liegen. Im Hintergrund die tiefen, dunklen, erdigen Noten, Harz, Holz, Moos, Lakritze und modriges Holz. Im Gaumen ein Feuerwerk von Aromen, die 57% rütteln die Geschmacksknospen wach um die Fülle war zunehmen. Karamell-Sahne Bonbons mit Chili Füllung, Schokolade in Tabakblätter eingeschlagen, Eine Eichen Truhe mit Leder ausgekleidet. Wunderbar ausbalanciert. Im Abgang wird es nur kurz "feurig", danach herrlich lange Schokolade, Früchte, Karamell, Tabak..
Ein toller Navy Rum der mit seinen jungen 5 Jahren schon einiges zu bieten hat. Für Seebären und Geniesser des Ungebändigtem. Beautiful honey yellow in the glass. In the nose wonderfully multi-layered and elegant, at a blind tasting I would have tipped on a Guyana Rum. Fresh rolls with fruit salad lying on a toasted wooden plate coated with caramel. In the background the deep, dark, earthy notes, resin, wood, moss, liquorice and musty wood. On the palate a firework of aromas, the 57% shake the taste buds awake to increase the fullness was. Caramel cream sweets with chilli filling, chocolate wrapped in tobacco leaves, an oak trunk lined with leather. Wonderfully balanced. A great Navy Rum with his young 5 years already has a lot to offer. For sea bears and connoisseurs of the untamed. Very strong rum but in pleasant way. Fruity notes in the nose. Even it has 57% alcohol volume, it has pleasant taste. Taste is more intense and more longlasting with oaky background. Will get it for rum tastings, to provide the comparison for anyone who comes around. Tombé sous le charme de ce rhum en 2015. Il existe également en version à 40 degré mais cela manque un peu de force. Cette version est juste parfaite. Blend de 4 distilleries jamaïcaines dont une secrète, il est fruité funky et puissant. En aucun cas sucré ni amer. Je le bois pur mais il paraît qu'il se mélange aussi très bien. Le meilleur blend jamaïcain que je connaisse surtout qu'il mélange les style des différentes distilleries et sans fausse note. Denne rom er generelt meget stærk, og dette ikke på den gode måde. Duften er meget kras. Smag af kraftig alkohol og jeg fanger ikke mange definerbare nuancer. Eftersmagen kan jeg ikke rigtigt sætte fingeren på. Generelt ikke en rom for mig. Strong tasting rum, does not dissapoint. For drinkers who like the whisky-side more than the sweet rum taste. Alcohol strengh brings intense flavors and quite long aftertaste. Finely woody, not too much. Interesting to taste but I'm not sure I want to get it regularly. I would expect more for a cask strength rum.